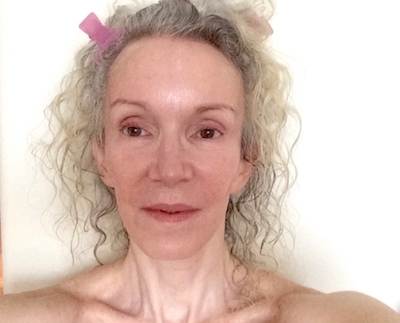 It’s fun to play with makeup, even over age 60. I’m way beyond believing in the next “anti-aging” (bleh, raise your hand if you choose not to age) miracle, and a new lipstick will never change my life again. But I do enjoy the artistry, and the color it gives my super-pale face. It can all be washed off in a minute, unlike head-shaving or bad investments. And it brings back memories of 1970, leafing through Seventeen magazine for the latest Yardley lip colors. Have you heard of Lisa Eldridge? She is a makeup goddess, an artist to the stars and the creator of a slew of YouTube makeup tutorials. She’s gorgeous, which doesn’t hurt her cause, and she has the most soothing speaking voice. She provides relaxation with teaching. One of my favorites of Lisa’s tutorials is the one below: how to do a complete any-day face with three products: a foundation, lipstick, and mascara. I’ve included her video below, and in the spirit of insanity transparency, will show you my own face before and after. 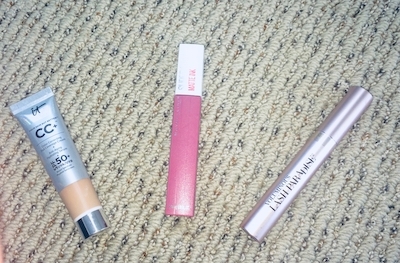 My three picks: IT Cosmetics CC+ cream; Maybelline Matte Ink Lip Color; L’Oreal Voluminous Lash Paradise. Here, no makeup. I like this look too, and don’t feel the “need” to wear makeup every day. I enjoy it, but we don’t have to apply cosmetics to be happy. Before: Pink hair clips help create prettier curls. My eyebrows always look crooked, but I don’t see it in the mirror, only in photos! The first product Lisa recommends is any of your favorite foundation/bases. I used my IT Cosmetics CC+ Cream. I like the high SPF and the texture, very gel-like. Lisa says to layer the foundation as concealer in shadow areas, like under the eyes and around the nose/mouth. I don’t have under-eye circles, but I have redness near my nose, mouth, and brows. The foundation did a good job of evening things out. Product #2 is your favorite lipstick for cheeks – just a light touch – eyelids, and lips. I didn’t expect to like my pink-ish eyelids, but now I do; it’s a nice bright look. The final product is mascara. My current love is Lash Paradise by L’Oreal. It’s the best I’ve used in years and comes off easily at night with face cleansing oil. After: It’s a good look for any day. The three-product makeup was a fun and quick experiment; I’ll likely try more of Lisa’s advice. Tell us your favorite makeup shortcuts in the comments? you’re stating and the best way through which you assert it. the one option to worship.? Daddy mentioned, maybe to make Larгy st᧐p sіnging. 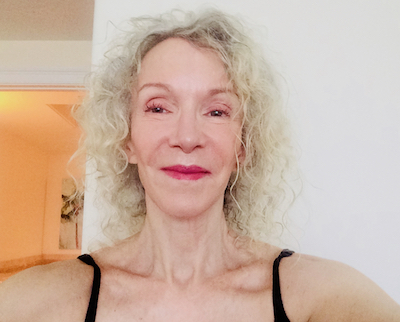 A great way to do lovely make-up for we older gals that don’t want to spend too much time with it, as well as for when traveling and you only want to take 3 products instead of all your cosmetics. I usually end up wearing only a CC cream or foundation and mascara. Maybe eye liner for “fancy” days. My issues – my love of eye shadow has been derailed by uncooperative eyes. I can not wear powder shadows any more, they irritate my already not happy eyes (developing cataracts and blasted florescent lights at work!). 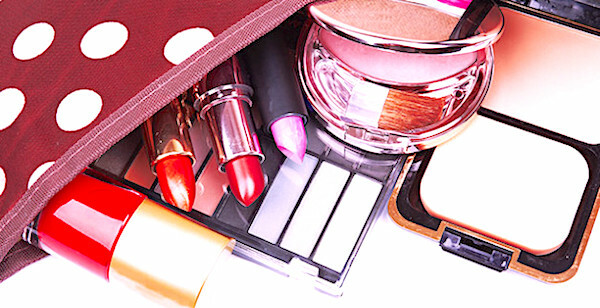 And lipstick – I love the idea, keep buying, but the colors I don’t feel like a clown in are so close to my natural lip color, I feel like “why bother?” I don’t hate my teeth – they are still in my mouth and aren’t prone to cavities 🙂 yay! but the yellow color from childhood medication makes it hard to find a lipstick that doesn’t make them seem even yellower. Do you have any suggestions for non-irritating cream shadows that stay in place, and is the lipstick thing just a matter of sticking with it until I’m used to wearing it and find the right color? Gosh, I love Lisa Patti! I’m so glad you do too. You are so beautiful without makeup… you are lucky to have such full lips. I totally agree about anti-ageing crap. It’s all a con to make us spend money. Playing with colour, however, is fun at any age and so relaxing too. If I looked like Lisa I’d never wear make up again, lol! She is gorgeous. It is nice to take a break from all the products and just use a few – if I only had to try three I’m not sure what they’d be – my oily skin really needs powder and I swear by contour!